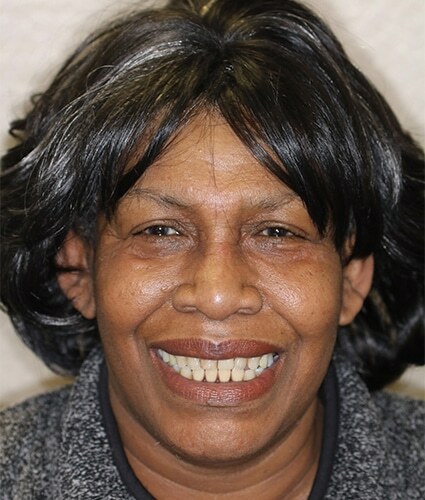 Patient came to the office seeking help with improving her smile and trying to get rid of her partial removable dentures. Patient has been wearing dentures for a long time and it affected her confidence to smile and also ability to chew and taste food properly. Also, she complained of constant headaches and TMJ pain. Her main complaint was that every time she would see a dentist, her only choice was that her teeth were to be removed. She was at the point where she was embarrassed to go outside. After a thorough examination, a personalized treatment plan was presented consisting of porcelain bridges to restore her smile and get rid of the TMJ symptoms. While creating a beautiful smile, we were also able to balance her bite which gave her relief with her TMJ symptoms. 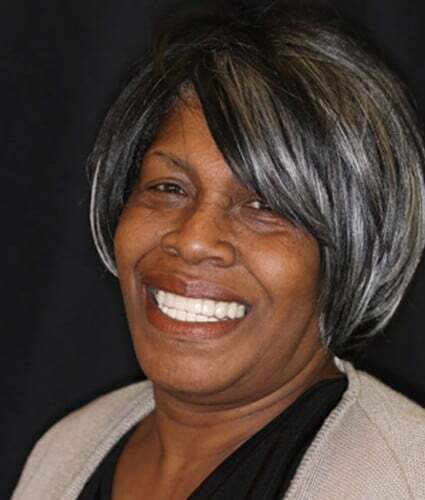 The patient was thrilled to see her new smile and she was even more excited to be able to get rid of her dentures. Linda can't stop smiling and encourages people to seek options to improve their lives.